WHEN IAN McEWAN’S NOVELLA, On Chesil Beach, was shortlisted for the Man Booker Prize in 2007, there was some controversy about whether it was too short to qualify for the prestigious international British book award. But then, even the definition of the novella itself is often subject to speculation. However, when immersed in a book, I often do not notice its length, just as one might not notice the length of a pleasurable journey on a train. One of my favourite books, Charles Dickens’s Great Expectations, always feels like it ends too soon even though it’s a hefty size. There have been many novella-length books in the 20th century that have made their mark in the history of literature. The four contemporary classics introduced and celebrated here are only a few of many more that ought not to be overlooked or forgotten. I hope that revisiting these books will remind readers who have read and enjoyed them of their enduring appeal, as well as introduce new readers to books that have changed lives and how we perceive the world. Below, in chronological order of publication, are short descriptions of four great novellas. Who can forget the story of a man who turns into a cockroach (or an insect, depending on the translation) one fine morning? The famous first line, “When Gregor Samsa woke one morning from troubled dreams, he found himself changed into a monstrous cockroach in his bed”, marks the beginning of an intriguing and seemingly improbable story of a young man stuck in a job he hates, only to find his situation has worsened after his transformation into a hideous creature. The uniqueness of this story is not only in its plot but also Kafka’s ability to humanise a cockroach—of all creatures!—and elicit sympathy for the unfortunate Samsa. And he does so even without sparing the reader from the various descriptions of Samsa adjusting to his new body—fluids, excretions and injured body parts, repulsive images that disturb and disgust. Despite the natural revulsion you might feel when confronted by a giant cockroach, you’re just as likely to feel great pity for Samsa, as Kafka presents the true ugliness that lies in human beings and that is demonstrated by the selfishness of Samsa’s family and their neglect of him. George and his big friend Lennie work odd jobs and dream of owning a “couple of acres” one day when they have saved enough money so that they can “live off the fatta the lan”. Lennie is mentally limited and child-like, an endearing character. But George has to act as his protector because Lennie can be dangerous in his ignorance of his own strength—he loves to pet soft, furry animals, for instance, but often ends up accidentally killing them. The child-like man and his behaviour often gets them into trouble, yet, despite George’s gruffness with Lennie, Steinbeck makes it clear that George has a great love for his friend even though the latter is a difficult responsibility. Steinbeck, the master of description, renders these characters and story unforgettable with his impeccable skill in dialogue and pacing. Its tenderness enfolds the reader, and its ending is all the more painful for that. Hemingway’s last major work of fiction before his death in 1961 and winner of the 1953 Pulitzer Prize for Literature, The Old Man and the Sea depicts Santiago, an old fisherman who has gone for 84 days without catching any fish. Manolin, a boy who has fished with Santiago ever since he was a toddler, takes care of the old man, ensuring that the old man does not go hungry or become sick. But Santiago’s bad luck has Manolin’s parents refusing to allow the boy to keep going out to sea on Santiago’s boat. But Santiago carries on despite his age and fatigue, braving journeys out to the unpredictable sea, and eventually becoming embroiled in a battle for a marlin that would be the greatest catch of his life. With tenacity, the old man pursues his aim to the very end. Santiago is Hemingway at his best, and his portrayal would render even the most cynical among us to take a moment to reflect on the nobility of the human spirit in its refusal to yield to weakness and despair. It is likely that more people may have watched the movie than read the book, but the movie is certainly no substitute for Capote’s words that have created one of the most memorable characters in literature and film. From his descriptions of something as incidental as furniture—“fat chairs upholstered in that itchy, particular red velvet that one associates with hot days on a train”—to his main character, Holly Golightly—“the ragbag colours of her boy’s hair, tawny streaks, strands of albino-blond and yellow, caught the hall light ... she had an almost breakfast-cereal air of health, a soap and lemon cleanness, a rough pink darkening in the cheeks. ...”—Capote demonstrates his richness in analogy and precision in description here. The dialogue in this novella, especially Golightly’s speeches, stick in the memory once they are read, and Capote’s deft and delicate weaving of Golightly’s character brings her to life. Far beyond actress Audrey Hepburn’s commendable portrayal of the role, Capote’s Holly Golightly is a woman that has more depth, who exudes more charm and an intelligence that evokes poignancy and amusement in a way that only lovingly handpicked words can. JANET TAY is a litigation lawyer by training, and is now an editor with MPH Group Publishing in Kuala Lumpur. She is also working towards a Master’s degree in English Literature at Universiti Malaya. 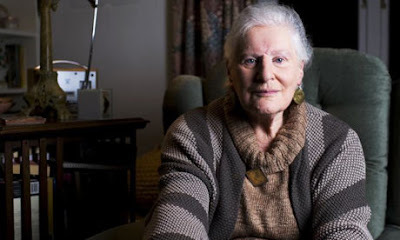 Her short story, ‘Callus,’ was highly commended in the 2004 Commonwealth Broadcasting Association Short Story Competition and has also been adapted for the Oxford Bookworms World Stories collection published in 2008. Another story, ‘Transience,’ was published in the August 2007 issue of Off The Edge, a leading Malaysian arts and culture monthly. She writes for The Star and Quill, a Malaysian magazine on books and the reading life. 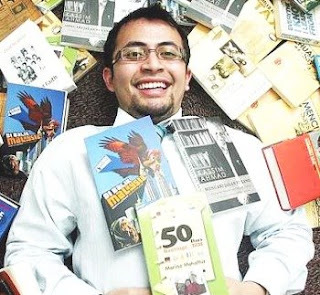 THERE IS A YOUNG UP-AND-COMING MALAYSIAN PUBLISHER IN TOWN ... and his name is Ezra Mohd Zaid of ZI Publications, a new independent Malaysian publishing house. 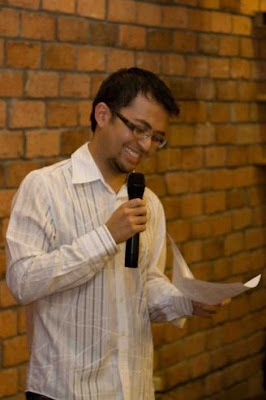 Ezra is a personable and engaging young man bursting with vigour and wonderful ideas to shake up the local literary landscape a bit—exactly the kind of publisher we need in a contemporary Malaysia: broadminded, intelligent, passionate, funny and straight-talking at the same time. Ezra, who completed his high school in Geelong Grammar School in Australia and graduated with a degree in Political Science and Philosophy from The University of British Columbia in Vancouver, says: “Our vision is to provide a balance of new and exciting titles while not forgetting the classics that have shaped our understanding and experience of the world. Now, more than ever, we find that there is an appetite for innovative, alternative ideas that challenge the mainstream. Be it in English or Malay, we wish to help transmit these ideas to the Malaysian reader in contributing to the building of a new spirit of critical inquiry and reason in the nation. “We publish fiction and nonfiction, in both English and Malay. That said, we feel that there is great potential in the nonfiction market for both languages, especially for the Malay-language audience. Currently, the Malay-reading public doesn’t truly have the option of reading Thomas L. Friedman’s The World Is Flat, Paulo Coelho’s The Alchemist or Camilla Gibb’s Sweetness in the Belly in Malay; so the translation market is something that we’re going into aggressively—to provide current international best-sellers, books that have garnered international critical acclaim, and maybe some of the great classics, in Malay. Every other country is doing the same with their national languages, and it is about time we did, too,” the irrepressible 25-year-old publisher, whose illustrious father named him after American poet Ezra Pound (1885-1972), says with the wisdom and conviction that belies his youth. Ezra spoke with me in late October and early November 2008. Please tell me something about yourself. I am just another Average Joe trying to make sense of this crazy world we live in! Clichés aside, this isn’t a question that can be summed up in 30 words or less. But to give you some idea (or not at all): at the age of 10, I dreamt of playing professional table-tennis in Japan! At 13, I thought perhaps being a video-game tester with Sega would be the ultimate dream job, personally and professionally (a win-win situation, no?). At 17, it was saving the world (and making some money) by banging on the drums in a rock band. As of late 2008 heading into 2009, I think I will stick to playing my part and attempt to re-ignite an interest in books and encourage folks to read more books. What’s your idea of Malaysia? Has it been realised? My idea of Malaysia has not been realised yet. I must admit I haven’t got it all figured out. I sometimes see glimpses of it, but then they fade away. We are a young nation with plenty of problems to sort out and this has to begin by finding some equilibrium in understanding our past, appreciating the present and preparing ourselves for the future. And it’s not such a far-fetched ideal I’m hoping for. I believe that my idea of Malaysia is one that resonates with the thirtysomething who runs a Ramlee burger stall in Penang to the businessman in Kuala Lumpur and to the mother of three living in Sarawak. Our country has so much potential, it is ridiculous! And the only barrier preventing us from realising this potential is ourselves. We are all in this together, and we really must come to terms with that. Malaysia will outlive us all; so for me, we have a collective moral responsibility to make sure that it is kept up to shape for the generations to come. Tell me about your publishing plans: fiction vs. nonfiction? English vs. Malay? We plan to do both, on both fronts. It has to be this way because the market demands it. But also, as publishers, there is a certain responsibility that’s attached to that. We live in a country where it is not just English and Malay that surrounds our bubble, but a host of other languages as well. Therefore, it would be fantastic to venture into those areas, too. But for now, we are trying to find a balance by publishing books that will relate to the general reader, while providing other target groups with titles that push the boundaries of mainstream. There is an implicit understanding (or misunderstanding) of what those confines are and should be, and the general public will be the judge of that. We tend to underestimate the maturity of Malaysians and their reading patterns. This way, we’re looking at opening doors for ourselves, the readers and the marketplace. This, I believe, creates a very dynamic relationship for all parties involved, which will only benefit everyone in the long run. What do you love about the publishing industry? And what do you hate about it? I am afraid I am still wet behind the ears in this industry, so the love and hate comparison would probably find its feet in the years to come. But like anything else, there’s always the good and the bad. I enjoy meeting both aspiring and famous writers and authors. The enthusiasm that writers have about the story they wish to share—it’s a powerful vibe. There is a great variety of writers sharing different stories, in various styles that appeal to different audiences. So to play a small part in that storytelling process is something I’m enjoying very much. With the book publishing industry, I am a tad disappointed with the external support that surrounds the industry, especially when we are talking about the marketing of books. Malaysian newspapers, magazines, television and radio could really do a lot more to be more proactive in this process. The awareness of books, especially local publications, has to be brought into the consciousness of the mainstream audience. Some inroads have taken place, but a lot more could and need to be done. Oh yes, banned books. I don’t understand this whole thing (well, I do, but I don’t really get it, if you know what I mean). For what greater purpose it serves, I will probably never understand because the public, the publishers and everybody involved loses out. It is unnecessary controversy. When books are labelled ‘controversial,’ it had better earn that right and actually be controversial. But most books are banned for the most frivolous of reasons, and there isn’t even a standard of consistency to the selection of titles that are banned. And even if the decision is made, there has to be some order and process for publishers to appeal and discuss such matters in an open and transparent manner. Why is reading important? How do we go about getting more Malaysians to read? For the longest time ever, before radio, television, YouTube, Facebook and smartphones entered our realm, reading was an essential activity. Obviously, it is still prevalent, but to a certain degree, there is a sense that it is no longer the primary activity. So, it is a tragedy to observe that with time, people have lost their skill and passion to read. There are currently many other exciting and thrilling options (or distractions) available aside from books; yes, we acknowledge that. But it is a shame, because reading offers an unparalleled approach to being introduced to new ideas and exploring new worlds and adventures. Reading has this remarkable way of simultaneously challenging one’s beliefs and opinions, and at the same time reinforcing or clarifying some received wisdom or those half-truths that somehow got lodged in our heads. The magic of it is, is that it kicks you off on this amazing journey where you will be always searching for more answers and asking more questions. And that can’t be a bad thing. On a practical level, it does help us stay in touch with contemporary ideas and appreciate history, which hopefully in turn, makes us more sensitive to global issues. Firstly, if we’re talking about the big picture and in the long term, our national education system has to promote the reading of books in an inclusive and meaningful way. It shouldn’t stop at Little Red Riding Hood and the Pak Pandir stories at the tadika (kindergarten) level; it has to continue all the way up to secondary school so that it provides some sort of counterbalance to the daily grind of reading ‘textbook’ materials that kids have to plough through. So, sastera (literature) has to be a ‘constant’ fixture in our education system, just as the presence of mathematics and science. It would be shortsighted of us to suggest that these subjects are not as significant. Secondly, believe it or not, Malaysians might find books boring or uninteresting. These same folks also feel that reading a book is a lot of work. My theory is that, perhaps, they possibly just haven’t found ‘it’ yet. I am referring to that one book that they’ve picked up, by accident (or choice), and the pages just turn themselves. The reading of the text seems just effortless. It is a lot to do about finding the type of book or subject matter that interests you. Much like going to the movies, isn’t it? Just because it says “#1” right next to it, it doesn’t mean it suits you. There is a book for absolutely everyone out there, trust me. So I would encourage folks to spend more time browsing at the bookshops, until you find your book. Once you do, it just opens up that window of ‘imagination’ and you’ll be on your way to wonders beyond your imagining. That initial spark of interest will create a constant desire to read more of the same, and eventually, read something a little different as well. Why do you think it is important to translate the best books in the world into Malay for the Malay-reading public? Language, in itself, is involved in a fluid and dynamic process which continues to grow and develop over time. The Malay language has undergone tremendous changes since its inception and I believe that this process will continue to evolve. Translation of books into Malay ensures that we encourage and promote the growth of the language in a positive manner. This also means that the Malay-reading public is given the opportunity to be exposed to all types of books. This will not restrict the Malay language to just appear in specific types of genres, information and ideas. Why should an amazing book written in Portuguese, Arabic or Japanese escape the radar of an interested Malay-reading public? We have Malay readers who would love to read the works of Paolo Coelho, Naguib Mahfouz, Haruki Murakami and Orhan Pamuk. While it is quite likely that the works of these writers will appear in English, it is not so in Malay. They must be similarly made available in Malay. The Da Vinci Code was not just a compelling read to those who could read it in English, but to people all over the world who read it in its various incarnations in different languages. We would be limiting ourselves and our understanding and experiences of different stories, cultures and ideas by ignoring the translation of great books into Malay. The Malay-reading public will grow bored, restless and lifeless if we do not provide them with the options they rightfully deserve. What are some of the titles you plan to translate to Malay for the Malay-reading public? Translation is essential because we live in a diverse society that demands it. There is no reason that language should be a barrier to ideas. If an idea is good, it translates into any language. You realise how blessed Malaysia is when its citizens are able to converse in not one but two, three, sometimes four, languages. But when it comes to reading, there is always that comfort zone that we find in a particular language. Or rather, some readers like to challenge themselves by reading in another language. So by default, that option should be made available to everyone. We began by publishing Farish A. Noor’s Di Balik Malaysia: Dari Majapahit ke Putrajaya, which is a translation of his selected writings published over two books, including some unpublished essays. It was necessary to get these contemporary ideas on Malaysian politics, history and society out to the Malay-language audience as well. Next, we have a blend of fiction and nonfiction: Ed Husain’s The Islamist (Penguin UK), Rajaa Alsanea’s Girls of Riyadh (Penguin USA), Reza Aslan’s No god But God (Random House) and Alaa Al Aswany’s The Yacoubian Building (The American University in Cairo Press). There are several other titles in the pipeline, but it is dependent on the response to these titles in the next few months. We do hope that the targeted demographic responds to these titles positively. And if they don’t, I would like to know what would pique their interest. These are all excellent titles fit for translation, I must say. What kinds of books did you read when you were growing up? Ironically, I didn’t read a lot of books while growing up. I guess I was a late reader, beginning to properly appreciate books only when I was about 16 or thereabout. As a kid, it was all about Archie, Jughead, Betty and Veronica—the Archie comics! My mother was concerned that I wasn’t into the Famous Five and Hardy Boys, but she understood. I had an Ujang or Gila-Gila phase that went on for a couple of years! But strangely enough, the first book I remember reading cover to cover was a book on the adventures of the Malay warrior Hang Tuah—and it was in English. I couldn’t put it down. That got me realising, “Wow, books aren’t so bad after all!” So this goes back to my earlier point about finding the book that’s right for you. I was lucky enough to find it and am thankful for that. I remember reading the Archie comics, too, but I was more into the Beano and Dandy comics and Disney’s Now I Know magazine in the late 1960s and early ’70s. I read Life and Movie News magazines religiously, too. I was very much lost in the world of Enid Blyton’s Famous Five and Franklin W. Dixon’s Hardy Boys series. I believe I must have read practically everything written by them! What kinds of books do you enjoy reading now and why? I naturally do enjoy nonfiction, and I guess creative nonfiction falls into that category as well. Specifically, I have a soft spot for autobiographies because they usually chart some form of evolution of the person; observing that perspective can be very insightful and that fascinates me tremendously. Whoever it might be: actor, rock star, football manager, world leader, spiritual leader, comedian, etc.—the best writings usually tend to be raw and honest, with some humility and a sense of humour thrown into the mix as well. It then becomes an ‘easy’ read, to a certain extent, because you seem to be able to relate to it while a part of you can also wonder about it, too. I am at the moment reading Alexis Wright’s Carpentaria. What about you? I am nearly finishing Slash (HarperCollins, 2007)—the memoir of one of the greatest rock guitarists of our era. I’m a big rock ’n’ roll-heavy metal fan, so reading about his experiences growing up, being an icon in Guns N’ Roses, the excessive lifestyle, etc.—it all just seems pretty surreal to me. I’ve also just put down Me of Little Faith (Riverhead Press, 2008) by the stand-up comedian, Lewis Black. It’s his take on all things related to one’s belief or religion, his personal observations and discoveries, and showing us the funny side to such ‘serious’ topics. He’s absolutely hilarious, but the nature of the topic in itself is bound to attract lots of criticism, disagreements, etc.—but that’s his job, to put the ‘funny’ into it. As a publisher, what do you look for in a good manuscript?Originality and good writing are two important factors, among others. The originality of the work is an important factor. The subject matter or idea that is being addressed sets the tone of what the reader may expect. From there, what usually complements it is that unique or familiar ‘voice’ the author brings to the work―whether it is humour, honesty, sarcasm, point of view, etc. While these aspects provide the platform for a good manuscript, it still comes back to good, quality writing. Between writers of fiction and nonfiction, we have to appreciate that there are different types of styles that writers adopt as their own. But within all that, clarity and accessibility are important considerations that we look out for as well. You can be elaborate or simple with words and even the ideas, but rarely is the clarity of the work compromised. But as a whole, a good manuscript has no specific predetermined criteria. I think it usually comprises or combines some form of purpose, imagination, intellectual significance and entertainment value. 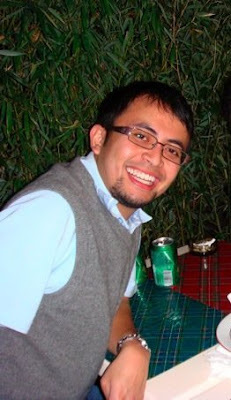 ERIC FORBES is a senior book editor with MPH Group Publishing in Kuala Lumpur. After reading economics for a degree, which he didn’t particularly enjoy but somehow endured, he had a succession of jobs before joining the publishing industry. He has been in bookselling and publishing for over 20 years now. He can’t imagine doing anything else. 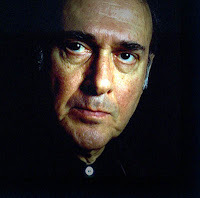 BRITISH PLAYWRIGHT Harold Pinter (October 10, 1930-December 24, 2008) has died, a day before Christmas. He was 78. Pinter, who had been battling esophageal cancer since 2001, is the author of such acclaimed classics as The Birthday Party (1958), The Caretaker (1960), The Homecoming (1966), Old Times (1971), Betrayal (1971) and No Man’s Land (1975). He was awarded the Nobel Prize for Literature in 2005. For an engrossing biography of Harold Pinter, read Michael Billington’s Harold Pinter (Faber & Faber, 2007), first published in 1997 as The Life and Work of Harold Pinter. This new revised and updated edition includes a full transcript of the Nobel lecture, as well as an additional chapter and accompanying photographs covering the years between 1996 and 2006. Billington is the theater critic for The Guardian. THRITY UMRIGAR is the author of three novels, If Today Be Sweet, The Space Between Us and Bombay Time, and a memoir, First Darling of the Morning: Selected Memories of an Indian Childhood. 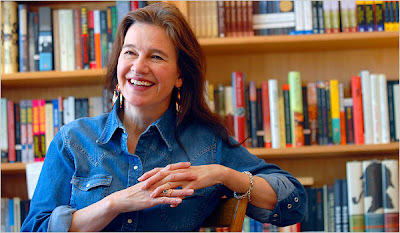 Her new novel, The Weight of Heaven, will be published by HarperCollins in April 2009. THIS IS WHAT I KNOW FOR SURE. Bookshops (and book distributors, for that matter) must learn to be more responsive to changing literary trends and the reading habits of book buyers and readers if they are to stay competitive in the bookselling business. Bookshops must not be slow to respond to the needs and demands of book buyers and instead learn to be more responsive to major literary prizes, especially the Man Booker Prize for Fiction, the Orange Prize for Fiction, the Whitbread Book Awards, the James Tait Black Memorial Prize, the Pulitzer Prize, the Nobel Prize for Literature and the Independent Foreign Fiction Prize, among others. Do not underestimate the value of book prizes and the longlists and shortlists that accompany them every year. These are tools you can use to your advantage in bookselling. Interests in and exposure to these prize-winning books are at an all-time high all over the world at the moment. From an economic point of view, booksellers should milk these moments for what they are worth. Extract as much mileage as possible from these lists. Say what you will, literary awards do drive the sales of prize-winning books and have repercussions on other books as well—both fiction and nonfiction. Yes, nonfiction. They can gain a competitive advantage over their competitors by being knowledgeable about what’s on the minds of consumers of literature and anticipate prize-winning books. 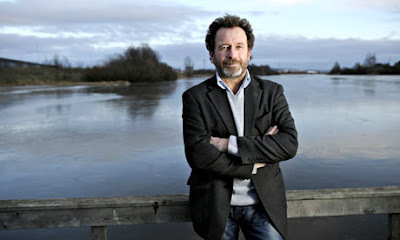 On whether literary prizes have a valid place in the literary world, Matthew Kneale, author of English Passengers (2000), says: “I think they are useful because, at their best, they encourage an interest in good literature. I think people will always disagree on whether prizes go to the right books but the very fact that there is a debate will encourage people to read good books whether they’re on a list or not. I think they have really helped British literature in the last 30 to 40 years just by the very fact that they’ve made a lot of good books popular and that just wasn’t the way 20 or 30 years ago. You didn’t find many supposedly literary books on bestseller lists, you didn’t see them in the bookshops. Now you do and that’s got to be a good thing.” The importance of the role literary prizes play in shaping public taste has been acknowledged. Of course, we must be wise to the ways of the world and not discount the fact that there are many books that somehow fail to win literary prizes but are nevertheless excellent. There are many factors that affect the opinion of judges, sad to say. Many of these excellent books are never promoted at all. Many a time books that are unfavourably reviewed are actually quite good. Booksellers must make an effort to discover these gems. Bookshops must learn to connect more closely with the consumers of literature by learning about their literary tastes and preferences and being the first to introduce them to books they will want to buy and read. On this count, most bookshops fail, simply because they do not understand and anticipate the needs and wants of their customers. Another winning factor that bookshops lack is service, one of the oldest ingredients of sensible bookselling. Book buying is a tough business to be in. It is not just the matter of buying books and displaying them. Effort must be made to buy the right kinds of books in the right quantities and to sell them as fast as possible. Sufficient books must be sold before new stocks can be purchased. Otherwise, the business will not be able to sustain itself in the long term. Knowledge of books helps, of course, but such knowledge only matter to a certain extent because the Malaysian market is very different from the U.K. and U.S. markets. There are always local variances to consider in your purchase decisions. Books that you think are excellent or those that do well in foreign markets may not make a dent at all in Malaysia. There are only so many copies you can sell of each title. There are only so many copies of Booker Prize-winning books you can sell here. However, there is not much structured planning in the buying of books because book buyers are usually bogged down with paperwork and other extraneous matters. Book buyers must arm themselves with knowledge and do more research to make more rational book-buying decisions. There’re lots that Malaysian bookshops can do to improve the bottom line. The core of the business is books, and that’s where local booksellers should focus on. But I guess the simplest thing is always the most difficult for most people. Educating the reading public is imperative, not just pandering to the lowest common denominator. Bookshops must make an effort to recommend books across all genres and to encourage customers to experiment with authors or books they are not familiar with. Bookshops must also learn to promote books that are yet to be published by building a sense of anticipation (and sustaining it) in readers towards future releases. And I do understand the reality of the marketplace: the fact that bad books sell very well is not surprising. Sell them by all means, but don’t neglect the good stuff. Colourful shopfront displays and newspaper advertisements go only so far in enhancing sales. These do not exactly ignite book buyers’ passion for books. Service and merchandising are the way to go; these are the factors that give booksellers the edge over the competition. Genuine book readers like booksellers who care about books just as much as they do. Serious book readers want bookshops with character that offer choice. Floor staff must be passionate and knowledgeable about books. There’s nothing like walking into a bookshop and stumbling upon gems that you simply must own. For instance, Kiran Desai’s triumph in the recent 2006 Man Booker Prize for Fiction would drive the sales of both her books, The Inheritance of Loss (2006) and Hullabaloo in the Guava Orchard (1998), which would in turn revive the sales of her mother Anita Desai’s substantial backlist, which consequently would affect the sales of the fictions of other Indian writers: Vikram Chandra, Amit Chaudhuri, Amitav Ghosh, Romesh Gunesekera, Suketu Mehta, Pankaj Mishra, Rohinton Mistry, Jhumpa Lahiri, V.S. Naipaul, R.K. Narayan, Michael Ondaatje, Ruth Prawer Jhabvala, Arundhati Roy, Salman Rushdie, Vikram Seth, Shashi Tharoor, etc. Besides an impressive backlist of fiction titles, many of these writers are excellent nonfiction writers as well. Another excellent example is Turkish novelist Orhan Pamuk who recently was awarded the 2006 Nobel Prize for Literature; he has written seven novels, five of which have been translated into English, and a memoir which should attract more readers or collectors. All the titles in his backlist are in the process of being reprinted, not forgetting his new book, Other Colours: Essays and a Story, a collection of nonfiction essays, that was published in September 2007, while his next novel, The Museum of Innocence, should be out in October 2009. The passing of such writers as Stanley Kunitz, Naguib Mahfouz, Eric Newby, Gilbert Sorrentino, William Styron and Pramoedya Ananta Toer in 2006 and Ryszard Kapuscinski, Norman Mailer and Grace Paley in 2007 are all excellent opportunities to bring the work of these authors to a new audience. Bookstores must realise that there’s also money to be made from old titles as long as they are promoted properly. The fact is, there’s always money to be made from the backlist. Let us not neglect the classics while we are enjoying the contemporary stuff. It’s time to bring out those great books languishing on the shelves at the back of the store and put them where they belong. There’s a goldmine from forgotten or neglected gems from the past. Books nowadays do not remain on the shelves long enough for readers to discover them or for the books themselves to discover the readership they deserve because of the dynamics of the marketplace. Sadly, many of these books have disappeared, many without a trace. Perhaps changing literary tastes and the increasing reluctance of publishers to keep in print books that can never sell by the truckloads are responsible for this sad state of affairs. Some of these books should be rescued from obscurity for the enjoyment of new generations of readers. Some of these forgotten gems include the novels of Elizabeth Bowen, Henry Green, Shirley Ann Grau, Graham Greene, Rosamond Lehmann, W. Somerset Maugham, Kate O’Brien, Dawn Powell, J.B. Priestley, Georges Simenon, Muriel Spark, Jean Stafford, Elizabeth Taylor (the writer, not the actress), Eudora Welty, Richard Yates, etc. Literature buffs ought to discover or rediscover these. Not discovering these underappreciated authors and their novels is their greatest loss. It’s a fact that there are people who buy books not to read but to collect them. We tend to buy more books than we can read. One lifetime is just not enough for us to read all the books we want to read. We wish we could read all the books we would like to read but time simply won’t allow it. There are also other responsibilities of daily life to contend with. Most book buyers are hoarders; they regularly buy books which are then put away to be read at a later date. Bookshops tend to live a separate existence from the mainstream of literary activity. They do not seem interested in literary festivals, readings, booktalks, author appearances, etc. They are nowhere near where the pulse of the activity is. Such literary activities should do wonders for Malaysian bookselling in the long term and, thus, should not be neglected. Bookshops must realise that they are not just making a sale for today only. You know, there’s such a thing as creating new readers by educating readers today so that they become discerning book buyers and readers in the future. The education of future generations hinges on this simple plan. Think about it and you will understand what I mean. Bookselling, after all, is both a business and a public service. You really can’t get any nobler than that. THERE’S a rather desolate feeling about Robert Raymer’s Lovers and Strangers Revisited. You feel the isolation, the sadness, the frustration. The characters seem trapped in their own little world, some so self-absorbed that they’re incapable of seeing anything beyond themselves. Don’t get me wrong: the stories are interesting. But they’re sad! There seems to be no happiness in these characters’ worlds. You’d recognise most of them, though I wouldn’t say they’re stereotypes; they’re familiar characters that you might have come across somewhere, somehow, though you might not have given any of them a second thought until they appear in this strangely appealing book. That, actually, is one of the book’s main points of appeal for me: its overall Malaysian-ness. I don’t read many books by Malaysian (or Malaysia-based) authors, so I’m not really able to compare; I just liked that I could recognise the people in the stories and could relate to some of them. ‘The Smooth Stones,’ for example. It’s such a Malaysian thing to believe that a holy-looking man must be a good person, so paying RM500 for magical stones makes sense. But the tale doesn’t quite end in the way all those newspaper reports of conned people do because Raymer gives it an interesting twist that makes you wonder ... what if? Then, in ‘Sister’s Room,’ there’s his description of a child’s jealousy of an older sister who receives special treatment. Through the child’s eyes, it’s all so innocent, but Raymer subtly but effectively implies that there’s more to it than that, and tragically so. ‘On Fridays’ is one of my favourites. The characters come to life to, well, I could almost see and hear them. It is very descriptive, and sums up the different races in a way that I would have previously thought only Malaysians would understand. The protagonist tries so hard to read his fellow passenger, a Malay woman. He wants so much to know what’s on her mind. During that one, short taxi ride, emotions build up so intensely that they spawn an obsession. Except it’s too late, and the moment is gone, and it won’t return. If only. There are a lot of “If only’s” in this book …. Some of the stories feature expat characters, some of whom feel displaced in Malaysia where everything seems so foreign and alien. Half the time, Raymer’s describing behaviour we’ve all seen around us or that we’ve even acted out ourselves, but he does an effective job of making us step outside ourselves and look back in through a stranger’s eyes. ‘Mat Salleh,’ the story of a Malay woman who takes her American husband back to her hometown demonstrates this best. Another mixed marriage story, ‘Only in Malaysia’ (one of two new additions to this edition; the other is ‘Transactions in Thai’), tells of a foreigner who follows his Malaysian wife back here, only to have things fall apart, leaving him stranded in a country that no longer seems friendly, and that he has no way of leaving. Sad! The title story, however, has a happier ending, though it also has some uneasy undertones. It’s quite interesting how one man can meet and be attracted to the same kind of destructive woman without realising how he’s hurting himself. But the end result is somewhat happier than the rest of the stories, at least! ONCE UPON A TIME, a young American read about James Norman Hall—author, with Charles Nordhoff, of Mutiny on the Bounty—going to a tropical island to write a novel. He thought he might do the same. It’s not a new idea: over the centuries, many a Westerner has travelled to the “exotic” East to stretch creative muscles—though not all that many have been successful at actually creating anything tangible. Robert Raymer managed it, though. Like Hall, whose Mutiny on the Bounty he had read as a youngster, Raymer came to a tropical island—Penang, specifically, in 1984—and began writing. 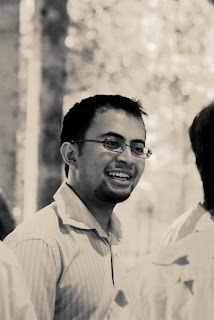 Over the years, he has been pretty prolific, albeit at writing if not publishing: he’s written two novels set in Penang, and two set in his homeland, and published a well-received short-story collection, Lovers and Strangers. When one of the stories in the collection, “Neighbours,” began to be taught for SPM Literature in schools throughout Malaysia this year, Raymer decided it was time to release an updated and completely revised edition of Lovers and Strangers, which had originally been published in 1992. In their earliest incarnation, some of these stories were published in magazines and newspapers around the world and on the Internet, including The Literary Review: An International Journal of Contemporary Writing, The London Magazine and Reader’s Digest. Erica Jong once said that writing a novel is like marriage and short stories are like flings. I agree. When your marriage is going flat on page 280, a ‘fling’ of a short story seems awfully tempting. It’s also satisfying to complete something. To knock something out that’s shorter so you can feel you’ve actually finished something! Two of the stories in Lovers and Strangers Revisited, “Dark Blue Thread” and “Only in Malaysia,” are about American men who marry Malay women. “Mat Salleh” and “Teh-O in KL” feature the same. To what extent did you draw on personal experience to write these stories? Reviewers, especially for those stories involving ‘an American,’ often comment (and assume) that the stories are ‘personal’ or ‘autobiographical.’ Only one story in the collection is factual, and that is ‘Mat Salleh.’ As I writer, I tried to make all the stories as realistic, or as personal, as possible by blending in realistic details, whether I was writing from the point of view of a Malay female, an Indian child, an elderly Chinese man, or an American. Since I am American, readers tend to think I’m writing about myself and my ex-wife [he has since re-married], thus the whole story is ‘true.’ Instead, I was merely trying to capture ‘the truth’ of what it can be like for an expat married to a Malaysian to give the story some backbone, which then makes the rest of the story seem believable, as if it were based on fact. The story that gave me the most problem has to be ‘Sister’s Room’ (about child prostitution), finding that voice and maintaining it. I’m never satisfied with it; each time I go through it, each page is marked up! ‘The Future Barrister’ was a problem too, having him tell his story and needing to break it up so it’s not some long, boring monologue. For the MPH collection, I did ‘The Future Barrister’ in the present tense, and by doing that forced other changes too, and these changes I really liked. It felt like I was giving the story a fresh coat of paint and all the cracks were finally covered up! Realistically, a Penang novel might not have much of a market outside of Malaysia, while a U.S. novel has more potential worldwide. For my U.S.-based novels I’m looking to the U.S. or U.K. Right now everything is on hold because I’ve recently decided to expand a novel that’s done well in two contests in the U.S. into a trilogy, which I believe will make it easier to market. I’ve been reluctant to publish a novel in Malaysia for fear that it won’t get out of this region or that no one outside Malaysia will take it or me seriously. Of course, with Tash Aw’s book (The Harmony Silk Factory) and so many recent breakouts by Malaysians [Tan Twan Eng’s The Gift of Rain and Preeta Samarasan’s Evening Is the Whole Day], things are starting to change. MPH Publishing and other publishers have been actively seeking to publish Malaysians writing in English. They’ve got great stories to tell! So I am thinking, okay, maybe the time is right, maybe I should publish my novel, Tropical Moods, here. Before that, though, Raymer will be publishing another collection, of narratives and articles, tentatively entitled Twenty Years in Malaysia. It is slated for release in 2009. 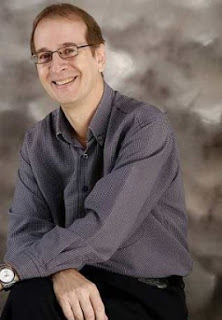 To find out more about Raymer, visit his blog at borneoexpatwriter.blogspot.com. The collection was first published by Heinemann in 1993 as Lovers and Strangers. Unfortunately for Raymer, the publishing house’s fiction list was discontinued shortly after the book came out. Fast forward more than 10 years to 2006, and the collection was put on Universiti Sains Malaysia’s English syllabus. However, Raymer had revised the stories so extensively that he felt a new edition, Lovers and Strangers Revisited, was called for. Recent reads include A New Earth (2008) by Eckhart Tolle and Inner Drives (2005) by Pamela Jaye Smith: “Inner Drives is an insightful book for developing characters for writers that I stumbled upon by chance at the library—see, another benefit of going to the library! IT’S TWENTY TO TEN on a September morning in 1980, and the Rajasekharan family of Big House, 79, Kingfisher Lane, Ipoh, are assembled to pack their disgraced servant girl, Chellum, back on the bus to Gopeng. 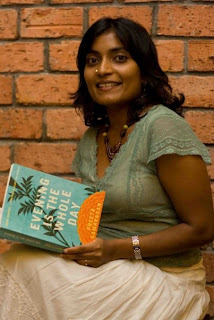 Lawyer Raju Rajasekharan (known throughout the novel simply as Appa) stands at the gate in the rain with Chellum’s wheedling, drunken father, while the two youngest children, Aasha and Suresh, are kept at the breakfast table to bear witness to their mother’s scarcely contained fury as the hapless girl bumps her three-wheeled, broken-strapped suitcase down the stairs. We don’t immediately know Chellum’s crime (though Amma plants the rumour that she may be pregnant), but we are told that a year from now Chellum will be dead. This is not at all the spoiler it may at first seem because this is a novel entirely concerned with excavating the past: the narrative seeks causes, and causes of causes, moving backwards in tiny increments of time, even while unveiling the larger story of an immigrant family’s rise from humble beginnings. We soon learn that there’s been a death in the family. Appa’s formidable mother, Paati, has died under mysterious circumstances in the bathroom, and Chellum is to be blamed for it. But just as the 1980 TV series Dallas (much loved by Malaysian audiences) invited viewers to ponder “Who killed J.R.?” so it appears as the novel unfolds that Chellum isn’t the only one complicit in her death. And as it turns out, this isn’t the only skeleton rattling round in the family cupboard. As the layers of lies and evasions are peeled away, no one (not even Paati, not even sweet little Aasha) is entirely innocent, and convenient, face-saving fiction is invented to hide uncomfortable truths. Since the powerless are always the most convenient scapegoats, carrying away in a metaphoric sense the sins of the rest, and so it is with Chellum and Appa’s brother (the quaintly named Uncle Ballroom). Both are unceremoniously packed off baseless pretexts when their real crime was actually to have been witness to much more. Watchful and aware, Aasha is the main witness to the novel’s events and the keeper of secrets. She is even on speaking terms with the Big House’s ghosts, the most permanent of which are the daughter of the previous owner of the house, forever trapped in her last memory of being pulled into a mining pond as her abandoned mother committed suicide, and the ghost of Paati, who returns from the ashes of her funeral pyre even more grotesque and lizard-like than when she was alive. The dispatch of Chellum is only the last in a series of events which have rocked Aasha’s world. The most painful has been the sudden change in her once-doting older sister Uma before she leaves to study in America, and the child’s heartbreak is palpable. Although on the surface a story about a particular dysfunctional family in Ipoh, the novel must also be read on a higher level, the personal and domestic reflecting the national and political, for just as Saleem Sinai in Salman Rushdie’s Midnight’s Children is born at the exact moment his country gains independence, and his own fortunes closely parallel those of India, so too the events taking place in the house on Kingfisher Lane echo those of the wider nation. On Independence, the house is taken over from Mr. MacDougall, a dyspeptic Scottish tin-miner, and on the stroke of midnight of August 31, 1957, Appa’s father, Tata, switches on the light for the first time. Appa himself has great schemes, both personal and political, and in 1959 sets out to find a bride as “the first part of his five-year plan”. Chapter seven is the only part of the novel where the action moves beyond the claustrophobic atmosphere of Big House, opening the novel up to light and air in much the same way as a garden courtyard serves an old Malaysian mansion. Uma and her mother make a trip to visit family in Kuala Lumpur. Amma is heavily pregnant with Suresh. Riots break out in the city, preventing their return home, and Amma is about to deliver and needs to get to hospital. The date: May 13, 1969. May 13 has left deep scars on the Malaysian psyche, yet the race riots and their causes have remained the great unwritten about in Malaysian fiction. The only other author willing to enter this territory was Lloyd Fernando with Green Is the Colour, and even then the actual conflict remains largely in the background. Samarasan plunges her characters into the thick of the action and exposes the racist sentiments of the various groups in a way that Malaysian readers may indeed find unsettling. So much remains unanswered about this dark incident in Malaysian history and so it is fitting that the author handles this part of the story using personified Rumour (in a red dress) and Fact (in coat and tails) dancing a grotesque tango in the streets. “Some events and emotions are so huge that they don’t seem to be governed by the laws of realism,” Samarasan has said. Malaysian readers will of course know only too well that Rumour and Fact will continue to dance in a country where press freedoms are limited. Samarasan is clearly critical of the insularity of her characters. Despite living in an ostensibly multicultural society, the Rajasekharans have little contact with Malaysians of other races, and don’t even deign to learn the national language. It is ironic, of course, that at the same time the children’s frame of reference includes so much that is imported from the west, such as Wrigley’s chewing gum, Hawaii Five-O, The Wind in the Willows and Simon and Garfunkel. Malaysians of all racial backgrounds will recognise the phenomenon of the cultural cocoon. Just as we have our scapegoats in the foreground of the novel, so too they appear in the background. Appa is involved in the conduct of a murder case of one Angela Lim found stuffed down a manhole near Tarcian Convent School. Is Shamsuddin bin Yusof really the murderer, or has he been conveniently framed? Malaysian readers will of course immediately spot the anachronistic references to more recent murder cases and tabloid scandals which have captured the national imagination. Not only is Evening Is the Whole Day an extremely intelligent novel which works on various levels, it also explores a variety of themes—and the writing is simply stunning. The style, while evocative of other Indian authors influenced by the exuberance of Rushdie, such as Arundhati Roy and Kiran Desai (against whose work comparisons are bound to be made), also draws on the darkness of the Gothic, and as far as I’m aware, no other writer has managed to better use absolute misery for such comic effect since Stella Gibbon’s Cold Comfort Farm. There’s a playfulness and a sensual love of the language which means that every sentence, every single paragraph, gives an almost physical pleasure and must be fully savoured, and the imagery is fresh and frequently surprising. There is also a sharp eye for the tiniest of details and Samarasan delights in long lists, with one object piled onto another, which not only achieve a kind of a poetry, but also add to the cluttered and claustrophobic atmosphere of Big House. Samarasan has moved away from the frangipani and jasmine scents of much Asian fiction, confounding perhaps a Western audience’s expectations of a certain kind of exoticism. There are, to put it bluntly, an awful lot of scatological references: excrement seeps into many of the scenes, whether the stench from Amma’s mother’s improvised chamber pot doing battle with the smells of the family dinner, or Chellum’s “volcanic attack of diarrhea, all rapid fire bangs and squeaks and liquiescent bursts”, or the anonymous “sly lingering fart” on the platform of the Ipoh railway station. Samarasan is an astonishingly self-assured young author who seems to have hit the ground running at first attempt. She plays with our expectations of an Asian novel in Evening Is the Whole Day, revisiting the well-worked genre of the Indian family saga with a freshness that easily transcends all the stereotypes. And for a Malaysian reading public hungry for fiction that explores political and social issues unflinchingly, Evening Is the Whole Day will be seen as a fearless burst into new territory. Perhaps we’re getting a little blasé these days, but our Malaysian authors have done enormously well on the world stage recently, winning and being nominated for major international awards. I think we can expect Samarasan to add one or two more to the national mantelpiece. LOOKS LIKE ANOTHER YEAR HAS COME AND GONE. And more books are being written and published to keep us occupied throughout the new year. Here are the books that I know will be coming our way in 2009. There is the much-awaited second novel by Tash Aw, Map of the Invisible World, and a first novel by Yiyun Li after her widely acclaimed first collection of stories, A Thousand Years of Good Prayers. Keep a lookout for Daniyal Mueenuddin’s In Other Rooms, Other Wonders, a début collection of stories. Booker Prize-winners Margaret Atwood, Anita Brookner, A.S. Byatt, J.M. Coetzee and Barry Unsworth are back with new novels. Kazuo Ishiguro will be coming out with his first collection of stories in May 2009. And so has Man Booker Prize-shortlisted authors, Hilary Mantel, Caryl Phillips, Colm Tóibín and Sarah Waters, who has a chilling ghost story to tell in her new novel, The Little Stranger. Graham Swift has a new nonfiction, a book about the craft of writing. There are also new novels from Pat Conroy, the author of The Prince of Tides, and Colson Whitehead. 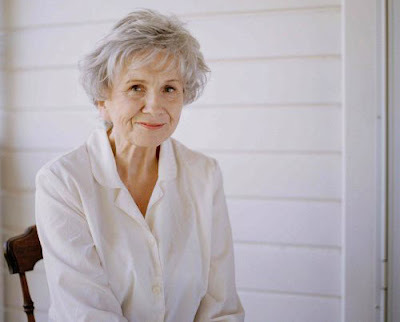 There is also a new collection of stories from Alice Munro, Too Much Happiness. From the perceptive and often piercing author of The Space Between Us and If Today Be Sweet comes an emotionally charged story of life, death, despair, and hope, and the lengths we will go to in the name of love. Thrity Umrigar’s new novel, The Weight of Heaven, not only takes a look at cultural clashes and divides, it also illuminates how we recover from unforgettable loss, how easily good intentions can turn evil, and how far a person will go to build a new world for those he loves. Also worth waiting for is Glen Duncan’s A Day and A Night and A Day, the riveting story of an unlikely terrorist and the lost love who leads him into the near-fatal embrace of his torturer. Duncan is the author of six previous novels, most recently, The Bloodstone Papers. Chimamanda Ngozi Adichie has always been a good short-story writer despite her success as a novelist. She has published many of her stories in The New Yorker. It is good to know that she will be coming out with her first collection of stories, The Thing Around Your Neck, in April 2009. I look forward to reading them as a collection.